While calorie count shouldn’t be the only deciding factor when picking out a workout, when you’re pressed for time and looking to get the most bang for your buck, it can help to know which activities reign supreme. After all, no one wants to spend time slugging it out on the treadmill for little to no payoff..
Each of the activities below burns a substantial amount of calories in a limited amount of time, putting you well on your way towards burning the 3,500 calories needed to lose one pound of weight. Browse the list, choose your workout and get ready to sweat. You don't have to be the next Rocky to take up boxing. 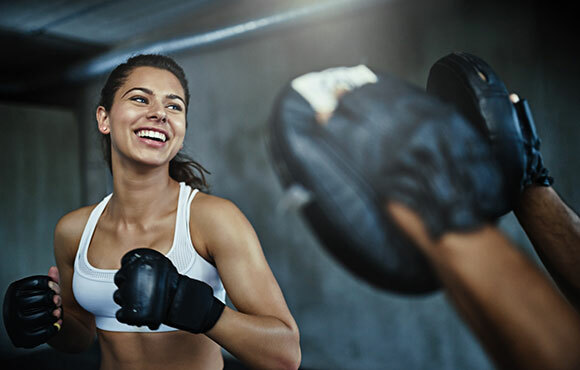 While it's not your standard bout in the ring, the competitive martial art of kickboxing burns serious calories, thanks to the high-intensity combination of punches, kicks and sparing. A study by the American Council on Exercise (ACE) looked at four different types of kickboxing classes and found that women weighing an average of 135 pounds burned between 350 to 450 calories in an hour. If you ask us, that epic payoff is worth going a few rounds. If you're worried about your joints, the low-impact sport of swimming is a great way to go easy on your back and knees, while still torching calories. 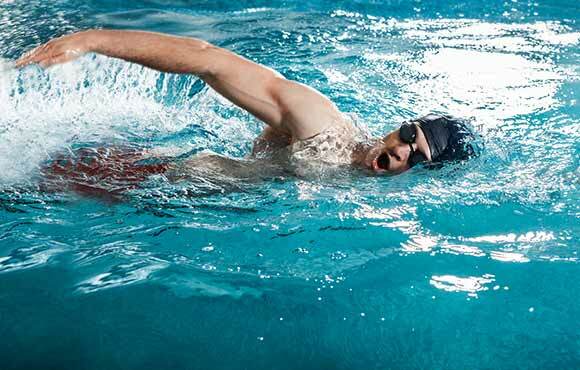 Though factors like metabolism and weight affect the exact amount of calories spent, research from the American College of Sports Medicine estimates that one hour of freestyle swimming for a 130-pound person burns between 413 and 590 calories, depending on speed. While most strokes burn similar amounts, the butterfly stands out from the pack. The combined push and pull of the arms and the dolphin kick of the legs spell a 649 calories-per-hour burn for a 130-pound person. 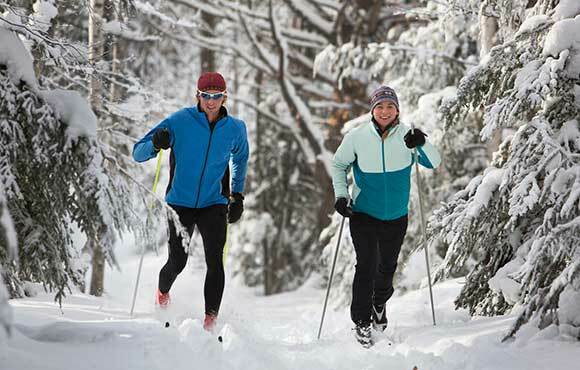 Kiss the lifts goodbye and take gravity out of the equation with cross-country skiing. Relying solely on your own strength to propel yourself across snowy terrain might take more time, but it also makes for an effective full-body workout. The simultaneous pushing and pulling engages muscles while providing a heart-pumping aerobic workout. When it comes to calorie burn, cross-country skiing ranks high—with a 200-pound person predicted to burn over 600 calories per hour. Don't be too quick to dismiss jumping rope as a childhood game. While you might remember it from your playground days, it's also a great cardiovascular workout for adults. Just remember to put some pep in your step. 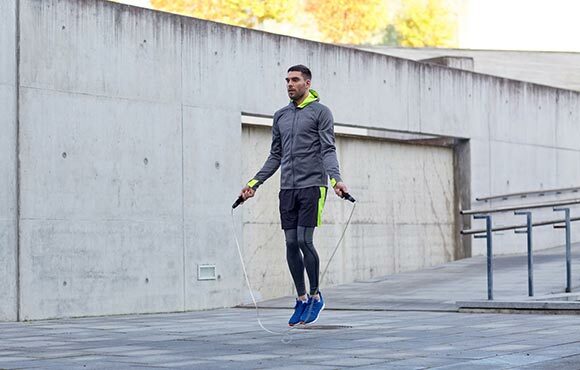 According to the Jump Rope Institute, you should be shooting for about 120 RPMs or two rope-jumps per second. Just 10 minutes of this RPM burns 125 calories; in fact, an intense 10-minute jumping session is equivalent to 30 minutes of jogging. Yoga doesn't have to be just a rest day activity. While known primarily as a great way to recover and stretch, getting in touch with your spiritual side during a yoga flow can also lead to major calorie-burn. A Vinyasa yoga class—where coordinated movements are matched with breath to transition from one pose to the next—has been shown to burn close to 600 calories per hour for a 150-pound woman. While that number might be slightly high (since it assumes constant activity, a certain level of expertise and skips out on the rests of Savasana), there's no debating that it's a good workout. The more intense the flow, the more calories you'll burn. Looking to crank up the intensity of your workout? Rest less—opting for moves like downward-facing dog instead of child's pose at the end of a sequence—work on your balance with challenging standing poses like elevated chair and engage in headstand practice with moves like the headstand pike up. 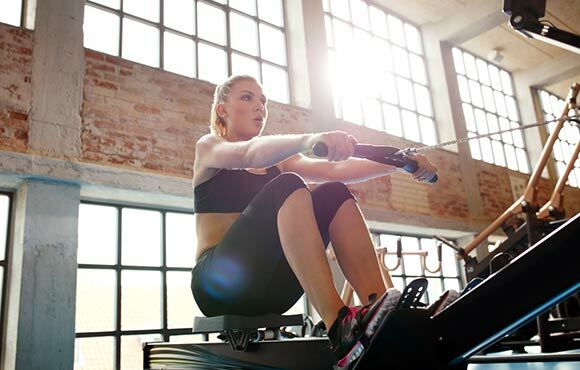 Whether it's icy on the track or you're just looking to get in a heart-pumping cardio workout in the gym, rowing is a great option. According to a Harvard University study, a 185-pound man can burn 377 calories in just half an hour. The total-body, low-impact workout strengthens the back, shoulders and arms, while still engaging your core. 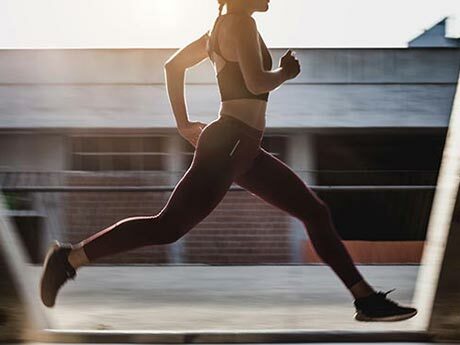 Some simple tips to make the most of your workout: At the starting and ending position, your legs should be straight (without locking your knees). Your body should be angled, leaning slightly back, and the handle should be below your breastbone with your elbows tucked in. During the pull, your back should always be straight and your shoulders and back engaged. When you're looking to sweat with friends, volleyball is a great option. Bumping, setting and spiking the ball over the net can burn a fair amount of calories. 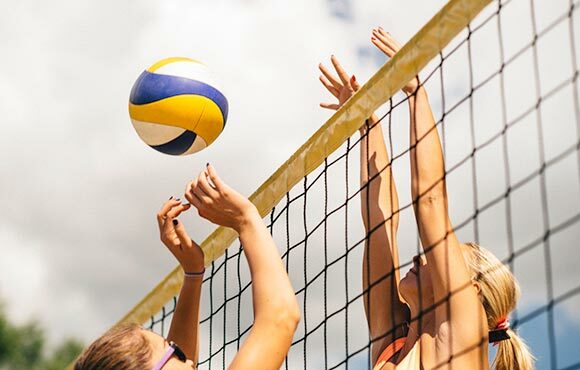 Harvard Medical School reports that a 185-pound person burns 133 calories in 30 minutes during noncompetitive volleyball. If that game cranks up to a competitive pace, they burn 178 calories. If you're looking to increase the intensity, switch to a more challenging terrain. The added resistance of sand volleyball can lead a 185-pound person to burn 355 calories in just 30 minutes. If you're looking for a cardiovascular workout that will challenge your upper-body strength, the rock wall could be a fun way to go. According to Harvard Medical School, a 155-pound person burns an average of 298 calories for every 30 minutes of rappelling while climbing. Not only will you boost your heart rate and improve stamina, but you'll strengthen muscles you didn't even know you had (like forearms and grip strength). 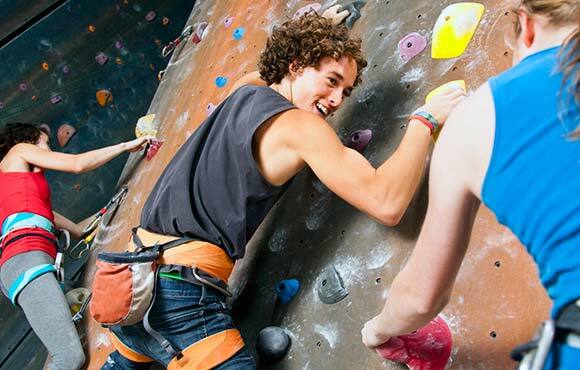 Since it requires you to reach and leap as you go from handholds to footholds, rock climbing can also give you a reason to improve your flexibility and prevent you from shrugging off that post-workout stretch. Still not sold? Think of it this way: The energy consumed while rock climbing is comparable to running at a pace between 8 and 11 minutes per mile. Stephanie Smith is a New York native who caught the fitness bug while earning a master's in journalism at the University of Missouri. A life-long victim of the YMCA family package, she didn't learn to really love fitness until she entered the renowned Mizzou rec room. Her one true love: glow in the dark cycling. After maxing out her need for (stationary) speed, Stephanie decided to hit the pavement and actually try and go somewhere by joining her first half-marathon training group. She ultimately decided to combine her love of journalism, fitness and a conversational tone in writing. You can see her work here.